Sunday night brings one of the most-anticipated matchups since 2014: Rodgers vs. Brady in Foxboro. Looking to rebound from a heartbreaking loss in Los Angeles to the Rams, the Packers have to travel all the way back across the country to Massachusetts to take on the only team that exceeded them in consistency over the past 15 years. For this format, we’ll take a look at 3 Key Players in the matchup, make 2 Bold Predictions, and make 1 Game Prediction. So let’s get to it. Kenny Clark has been the best player on defense and it’s not close. The young defensive tackle has blossomed into one of the best in the league in his third season, demonstrating incredible strength at the point of attack and rushing the passer with aplomb (4 Sacks). And he’ll have a prime opportunity to add to that number with the Patriots missing starting right guard Shaq Mason and backup Brian Schwenke. That means that backup Ted Karras will get the start. He’s started only three games in his three year career, only one of which was at guard. He’ll have his hands full with Clark. Geronimo Allison is doubtful for the game with a groin injury, which means more opportunities for the Valdes-Scantling, who has emerged as one of the most trusted weapons for Aaron Rodgers. One week after seeing the second most snaps among the wide receivers, the fifth round pick has emerged as the big play weapon that this offense needed. With 14 catches for 257 yards and 2 touchdowns in his rookie season, including his beautiful score last week, Valdes-Scantling will get plenty of opportunities against a weak New England secondary. It’s unknown who will get the matchup against Rob Gronkowski, but Jackson will likely get plenty of chances after he got the lions share of work against Trey Burton back in Week 1. With is physicality and length, Jackson is built well to deal with athletic tight ends, though Gronk is more than the average tight end. Looking for his first career regular season interception, he’ll get some chances Sunday night as Tom Brady looks to his favorite weapon in key moments. Jackson will need to be up to the challenge, as will Breshaud Breeland, Oren Burks, and Blake Martinez, all of which could also be in coverage. 1) Mike McCarthy will successfully run a gadget or trick play on Belichick. In 2010 and 2014, especially in 2014, the case can be made that Mike McCarthy has out-coached Bill Belichick head-to-head. 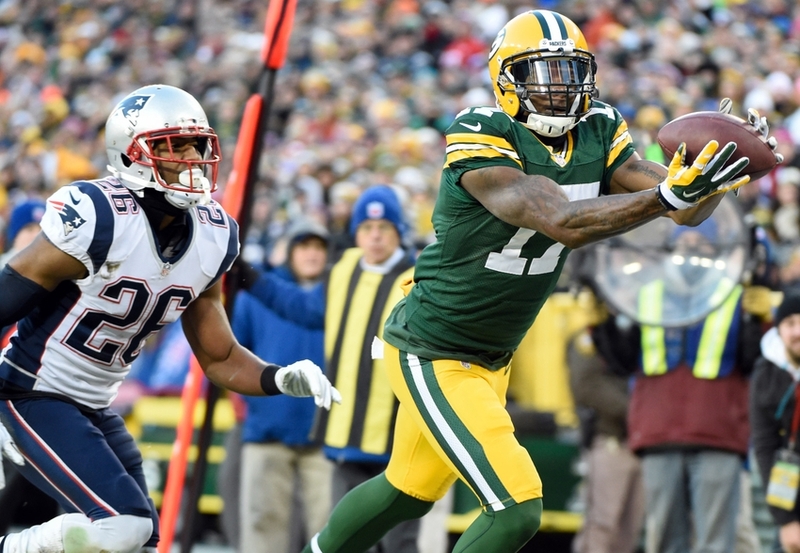 Making bold calls and getting his guys in positions to succeed has been evident in his games against the Patriots over the years, almost winning with Matt Flynn in Foxboro in 2010 and asserting control in 2014 as Davante Adams and Jordy Nelson both had big games. And in games like this, McCarthy isn’t afraid to mix it up a bit, and that won’t change Sunday Night. Look for some sort of trickeration, from a pass from Randall Cobb to a fake punt or onside kick. 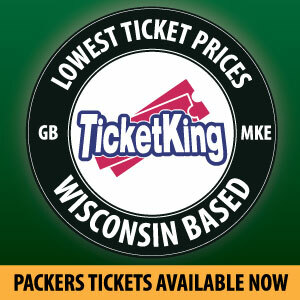 And it will succeed, swinging momentum in Green Bay’s favor. 2) The Packers will run for over 150 Yards. After the bye week declaration that the Packers needed to run the ball more, Aaron Jones say more than double the snaps of Jamaal Williams, getting on the field for 32 plays compared to 13 for his fellow backfield mate. That will continue against New England and the Packers will take advantage of an overly aggressive linebacker corps and create multiple gash plays. Expect Jones and Williams to both break a 20-plus yard run while Jones gets over 100 yards rushing. It’ll be a big day for the Packers offense, buoyed by the two young backs. Based on a balanced offensive attack with the two running backs and the emergence of the speed receivers, the Packers get their fourth win in New England, defeating the evil empire 31-24. This entry was posted in Authors, Mike Wendlandt, Packers 2018-2019 Season, Seasons and tagged 2018 NFL season, Green Bay Packers, new england patriots, Sunday Night Football, Week 9. Bookmark the permalink.